Q. How can I recognize hearing problems? If you answered yes to several of these questions, chances are you do suffer from hearing loss. Get in touch for a hearing test at one of our Hearing Centres in Burton, Lichfield and Hanley. Q. How often should I get a hearing test? If you suspect you have a hearing loss, have a hearing test immediately. Neil or Rebecca can determine if you have a “treatable” hearing loss. There may be an infection or other medical condition that is causing or contributing to hearing loss. In some cases, medical treatment may result in hearing improvement. For those who have been diagnosed with hearing loss, hearing should be retested every 12 months ideally or sooner if you notice a change in your hearing, or experience episodes of dizziness or tinnitus. Q. Will a hearing aid restore my hearing? While no hearing aid can restore your hearing to normal, hearing aids are designed to let you hear soft sounds that you couldn't hear before, and prevent loud sounds from becoming uncomfortably loud for you. They are also designed to improve your ability to understand speech, even in noisy environments. Q. Why do some people with hearing loss refuse to seek help? Only about a quarter of people who could benefit from the use of a hearing aid actually do so. They may feel that hearing aids make them look “old”, but hearing loss can occur at any age. Most people do not realise how much digital hearing aid technology has advanced in recent years with many invisible solutions. Q. Do I need to wear two hearing aids? In most cases, if you have hearing loss in both ears, two hearing aids are recommended. The human brain is dependent on input from both ears in order to properly process sound. Balanced hearing provided by two ears affords the ability to tell where sound is coming from, whether the sound is that made by an approaching car or a friend who is calling to you. Two equally hearing ears allow us to better hear conversation in the presence of background noise. Research suggests that, when only one ear is aided, the ability of the unaided ear to utilise and meaningfully process sound will deteriorate. Q. What are some advances in hearing aid technology? Like many other high-tech devices (TVs, phones, computers) hearing aids have experienced a major technological revolution in the past decade and especially in the last few years. The best of today's digital hearing aids are designed to virtually eliminate feedback; make listening in noisy environments easier and more comfortable; stream stereo sound from TVs, phones and radios directly to the hearing aid itself; and much more. All in instruments that are smaller (in some cases, invisible hearing aids) and more comfortable and powerful than ever before. Q. Won't wearing a hearing aid make me look old or weak? While you are no doubt concerned about appearance, compensating for a hearing loss by asking people to repeat themselves, inappropriately responding or not responding at all to people talking or even withdrawing from social situations is more obvious than wearing a hearing aid. Today's hearing aids are small, discreet and more stylish than ever before. Some are even invisible, chances are that once you have a hearing aid your quality of life will improve so much that cosmetics won't be as much of an issue for you. Q. My family keeps telling me to turn down the TV but I’m not aware that it’s too loud. Could it be my hearing? First step is to have your ears checked for wax. If they’re clear, you could have developed a hearing loss over time without being aware of it until now. Family members are often the first to notice when a relative’s hearing is worsening. In fact more than 50% of our clients were encouraged to arrange a hearing test after a friend or relative made them aware that they weren’t hearing as well as they did. Q. When I go to a party or restaurant I can't seem to focus on speech around the table. It seems the background noise dominates everything. Why is this? Everyone’s hearing changes as we age. For some this happens faster than for others. One of the most common symptoms is that it becomes increasingly difficult to follow a conversation at a party or in other crowded places. In quiet, the symptoms seem to go away. A simple hearing test can quickly confirm if your hearing has deteriorated, it's also the first step in finding a solution. Q. Should I consider buying hearing aids by mail order or via the internet? The sale of hearing aids by mail order or the internet is not regulated so there are virtually no safeguards to ensure your best interests. It is important to remember that the effectiveness of your hearing aids relies on them being properly prescribed and fitted by a fully qualified hearing aid dispenser to ensure they meet your individual needs now and in the future, find out more by following this link. Q. What is the best brand of hearing aid? There are many hearing aid manufacturers, each producing exceptional quality hearing aid products. Which brand is right for you is determined by the results of your audiogram, your lifestyle, your cosmetic requirements, and your dexterity. Neil or Rebecca select the brand only after selecting the type of circuit best for your individual hearing loss as indicated by your audiogram and your listening needs. Q. Two of my friends wear hearing aids that look the same, but each friend paid a different amount. They came from the same audiologist. Why are the prices different? Hearing aid shells look alike, but it’s the technology inside that you are paying for. Most hearing aids dispensed today are digital however there are varying levels of digital technology. Neil or Rebecca will choose the level of technology most suitable for the client, within these levels of digital hearing aids price varies depending on sophistication and available features. Q. Do the new digital hearing aids mask out background noise? It is important to understand that even those people with normal hearing experience difficulty understanding conversation in the presence of background noise. A hearing aid cannot eliminate background noise. However, there are hearing aid features that will reduce the undesirable impact of background noise. It is now possible to obtain a “directional” microphone, which focus on the sound in front of you, while reducing or eliminating amplification of side and back noise. Studies have proven (and users have happily reported) the effectiveness of the directional microphone in improving the ability to hear the desired sounds at movies, parties, in church, and in noisy restaurants. Q. How often should I wear my hearing aids? Initially it may take several days to several weeks to get accustomed to the “new” sounds you will be hearing with hearing aids. Chances are your hearing loss has occurred very gradually and you may have forgotten many environmental sounds which you, at one time, learned to ignore. Your brain must learn to reprocess these sounds and determine which to “tune in” and which to “tune out.” some people adapt quickly to amplification, for those who have more severe loss or those who have never worn hearing instruments it may take longer but with consistent use you will adjust to the sounds around you. Initially wear the hearing aids as long as you are comfortable, each day try to extend the period of time that you are wearing the aids and wear them in more varied listening situations, gradually wearing your new hearing aids all the time. Amplified sound will become more natural and comfortable. There is a direct correlation between the amount of time you wear your hearing aids and the benefit you receive. Tinnitus is the term used to describe ringing, buzzing, hissing, chirping, or any other unusual head noise. Tinnitus may occur occasionally or may be constant and may vary in intensity. It is normal to experience rare episodes of mild, brief tinnitus as a result of many normal conditions or exposure to loud noise. If however the tinnitus endures or becomes a regular occurrence, increases in intensity or disturbs your ability to function you should see your doctor. Occasionally tinnitus may signal a more serious medical problem, for most people tinnitus can occur as a result of hearing loss and for the majority of those people a hearing aid can “mask” the sound of the tinnitus leaving it less noticeable. If you experience tinnitus after exposure to loud sound, it is a signal that the noise may damage your hearing. Here at Dove Hearing we supply a wide range of tinnitus treatment options. The most obvious answer to this question is to avoid exposure to loud noise. Of course this may be impractical or impossible, a good rule of thumb is that any sounds that prevents you from understanding conversation in a normal voice or any noise that leaves you with tinnitus can cause permanent damage to your hearing. The damage caused by noise exposure is cumulative over the course of time. It is the loudness (not the pitch) and the amount of exposure that can damage hearing. Audiologists report a high incidence of hearing loss among those people who have worked around loud noise, even for only a few years when they were very young. If you cannot avoid loud noise, use some type of hearing protection. Q. Aren't hearing aids primarily worn by those who are retirement age or older? NO!! 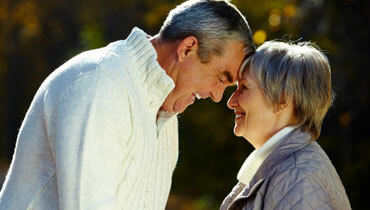 Unfortunately, in the past hearing loss was associated with aging. We now know that there are many causes and we successfully fit hearing aids to people of all ages, and now hearing aids can be invisible no-one need know! The most motivated and satisfied hearing aid users are those people who have accepted that they have a hearing loss and want to continue to be involved with the world around them. They are not willing to let hearing loss inconvenience them or be an excuse for not socializing or not functioning well at work.